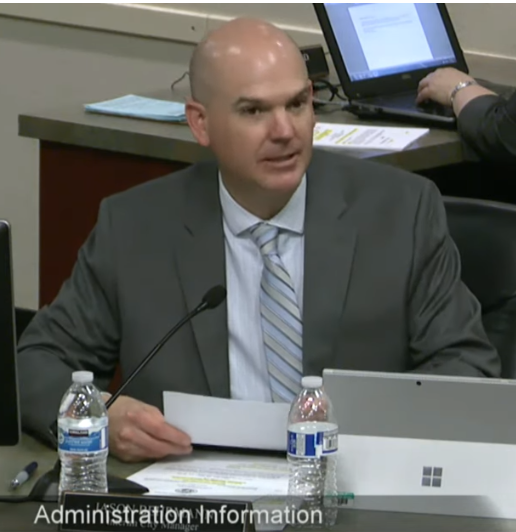 Although it will be a formality, at Wednesday night's city council meeting, the employment contract of the new Elk Grove city manager is scheduled for approval. The agreement for Jason Behrmann will be consummated following the city council's decision at their January 9 meeting to extend the job offer. Behrmann will receive a base compensation of $269,156, which, according to the staff report, is consistent with the previous city manager, Laura Gill who was fired last May. Berhmann was hired by Gill as her assistant in 2015. Along with standard health benefits and deferred compensation available to other city employees, Berhmann will receive several sweeteners not offered to rank and file workers. Among them is a golden parachute should the city council terminate the at will employment contract. The staff report notes "The employment would be terminable at any time by either party, subject to the payment of one year’s salary and benefits as severance if the City Council terminates the employment without cause." Gill received a similar golden handshake after her dismissal which was characterized as a mutually agreed upon separation. Although the Elk Grove City Council took eight months on their decision to upgrade Berhmann from his interim city manager role after they fired Gill, the city council had consistently praised his performance during council meetings and gave him wide latitude to form new departments like the so-called one-person innovations department at city hall. In published reports, Vice Mayor Pat Hume effused that Behrmann represented a set of "fresh eyes" to address the numerous socio-economic and infrastructure challenges beleaguering Elk Grove. Other sweeteners included in Behrmann's contract is six weeks (240 hours) of paid leave per year, as well as 80 hours for administrative leave for a total of eight weeks, paid time off annually. Should Behrmann not use his annual leave, he can "sell back" up to 160 hours, or $20,704 annually, but cannot accrue more than 480 hours. Additionally, Behrmann will receive a car allowance of $500 monthly and $100 for a cell phone. As a bonus, the city will pay 100-percent of his CALPERS retirement, which, if similar to Gill's, would be about $30,000 annually. Behrmann's total annual compensation package will be about $344,000.